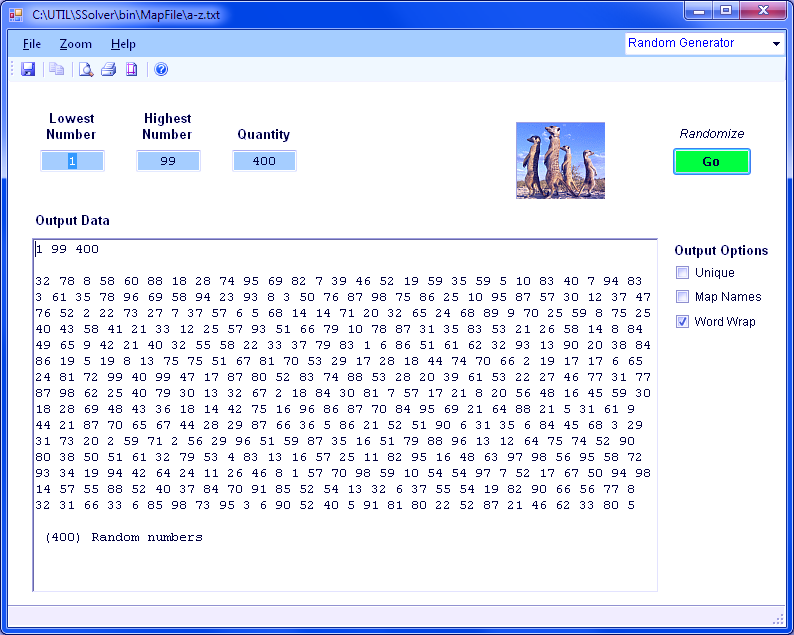 The free Random Number software generates from 1 to 99,999 random numbers in a specified range of -99,999 to 99,999. The randomizer software is initialized by using the system timer as the new seed value. See Random Number Help for detailed documentation. Refer to RANDOM.ORG for additional information and other random number software. Unique - Skips repeated numbers. If a number repeats, the software discards it and finds the next random number. Map Names - Replaces positive numbers (1 2 3) with words (a b c cat DOG) listed in a text file. 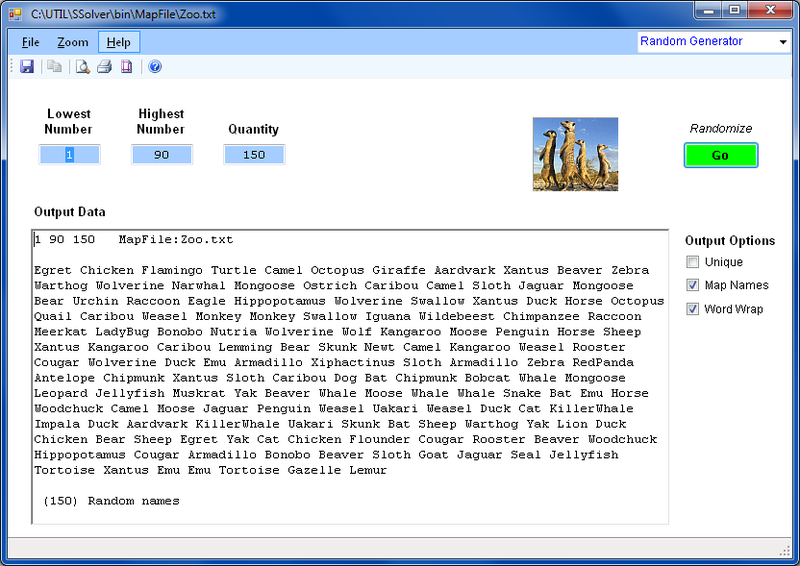 Several example Mapping files are included with SimpleSolver.